Now as I'm sure you're all fully aware, Christmas is fast approaching us! 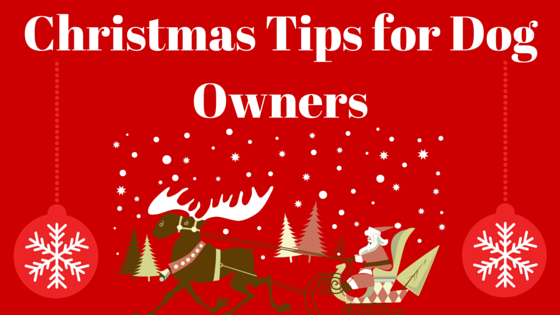 It's a time to spend with your friends and family and course not forgetting your little furry companions. My little buddies have been featured on my blog a few times now and Sadie, Lexi, Frank and Miley absolutely love Christmas! It's full of all sorts of interesting smells, colours and people but it's always important to make sure that they don't get overwhelmed as it does mean that we go outside of their usual routine. Below I have included a short video from Petplan which has a number of really important but simple things to be aware of, I would really recommend giving it a watch as it's not all obvious and these are all things that I personally take note of. In party scenarios I think it's always really important to have a safe place for the dogs to be able to chill out in away from the noise, usually for us it's the kitchen and we have their doughnut beds out with fluffy blankets and lot's of toys to play with. We also will nominate one of us to check in for toilet breaks and to take them out in pairs for walks every couple of hours to give them a bit of exercise and to make sure that they aren't missing out on their usual outside activities which they LOVE! The point about the tree is also really important, in our naive earlier years of having dogs we would dress up the tree all nicely and have it packed with baubles all the way down. The dogs would always be pulling on them, pulling them off completely or knocking over the tree like something out of You've Been Framed! To be fair we used to have the more flimsy artificial ones with the tiny plastic bases, nowadays we make sure to go for the non-drop sturdier based ones. It's better for us anyway in that there's no mess but it also means that the dogs cant get any of the needles stuck in their paws or accidentally eat them. On the subject of eating, chocolate decorations will be sniffed out (believe me!) 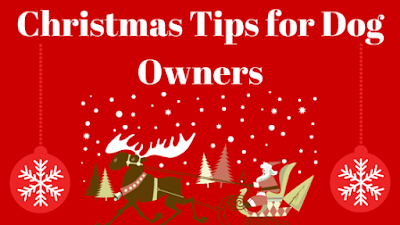 and are poisonous to dogs so keep them at the top of the tree just to be safe and to make sure they are there for you to eat. Also when it comes to leftovers from your Christmas dinner you need to make sure that you don't give your dogs any cheese, grapes, cooked bones, onions or garlic as it can make them ill as well as it upsets their little tummies. 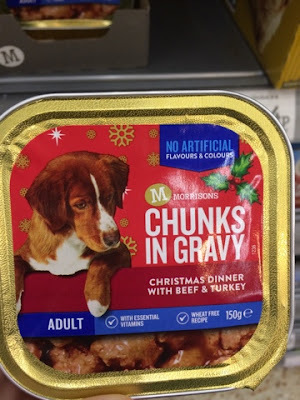 Me and my sisters usually make the dogs their own Christmas dinners, so they each have a turkey flavoured wet food, biscuits, dog safe chocolate drops and some supermarkets even have an actual Christmas dinner flavoured food in their festive selection for pets so definitely have a look. Then when we all exchange gifts they will each get a bone as a Christmas present wrapped up for them. Our dogs probably love wrapping paper more than the actual bones, I think it's the scrunching noise when they roll around on it!! We have also on occasion bought them Christmas jumpers which they like to go out for walks in because they are fleece lined and all snug for them when we are outside. I for one literally cannot wait for Christmas to come and I hope all you guys have great plans for the next couple of weeks, especially with your pets. If you would like to watch the cat version of the Petplan video you can do so here and if you would like to read more about their pet insurance head over to: http://www.petplan.co.uk/dog-insurance.asp. This post has been made possible thanks to Petplan, but all thoughts are my own.